This theme component displays a category’s most popular tags in a sticky sidebar on screens wider than 767px (most tablets and desktop devices). 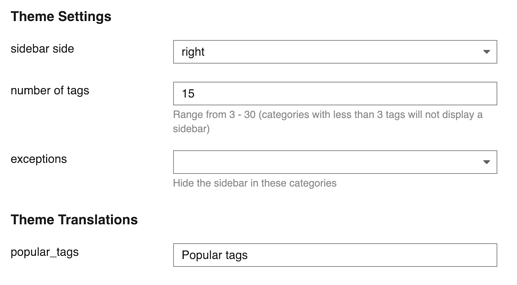 You must enable the show filter by tag setting on your site for this theme component to work. Each sidebar is wrapped with a class that contains the category name, so for the UX category that would be .ux-sidebar. You can use these classes to style individual sidebars. 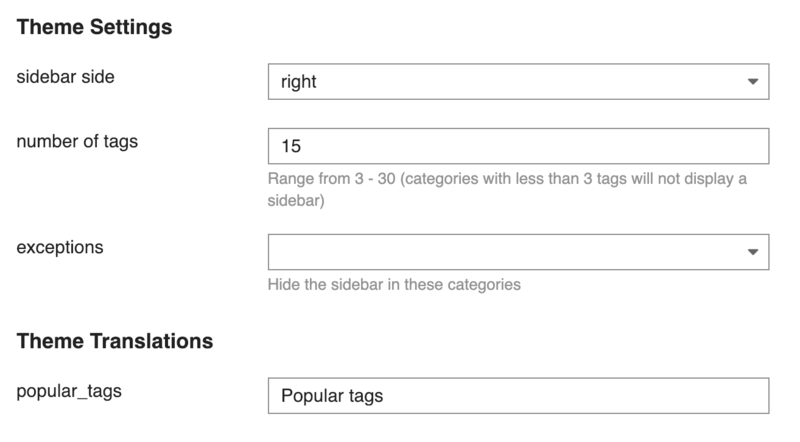 The html tag on pages with sidebars also has a class added so you can use html.custom-sidebar to apply styles on all pages that have a sidebar.